Theatrical audio mixes differ from broadcast, disc, and online audio mixes in a number of ways. When delivering your files for DCP creation, it’s important to know what kind of a mix you have and how that will affect its perception in a theatrical environment. 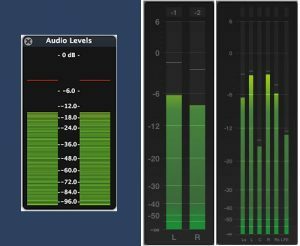 If you were to ask most people to visualize loudness, chances are they would think of audio meters rising and falling with the intensity of a track. The meters most of us are intimately familiar with are sample peak meters. Sample peak meters are the visual reference used to make sure that audio stays within the technical constraints of our audio track. In the same way luminance is measured on a scale of 0-100 in terms of color grading, sample peak meters more or less provide a measure for how much audio data can be fit in a track. Try as you might to “take it to 11”, you cannot exceed these limits and attempting to do so will result in distortion of your mix. We call this peaking. So if your audio is peaking, that’s the loudest the track can get, right? Not quite. Two sounds with the same sample peak level on your meters can have widely different perceivable loudness. A sound that is predominantly bass can peak and be perceptibly much more tolerable than a higher pitched sound in the normal range of human voices. LKFS (Loudness K-Weighted Full Scale) or LUFS (Loudness Units Full Scale) are terms used in US and International broadcast standards that describe the absolute loudness of a program in decibels where one unit of loudness is equal to 1dB. These are perceivable measurements of loudness. Using these measures, broadcasters can set targets for the average loudness of a program as well as the limitations for the acceptable range for loudness. They may also demand that absolute peaks don’t go above a certain true peak loudness in LKFS/LUFS. So where do we measure from? Above all other sound in a movie, dialogue must remain clear and audible and our ears naturally attenuate to the spoken word so the target values for loudness are usually discussed in terms of the average loudness of the dialogue in a soundtrack. Dialogue normalization is the measure of this average loudness and forms the basis for describing these targets. While standards can vary from country to country and vendor to vendor, the application or viewing environment has the most dramatic impact on mixing norms. To achieve proper levels, you need a properly calibrated mixing environment. Your ability to meet a calibration standard will be dependent upon both your equipment and the physical space you intend to mix in. 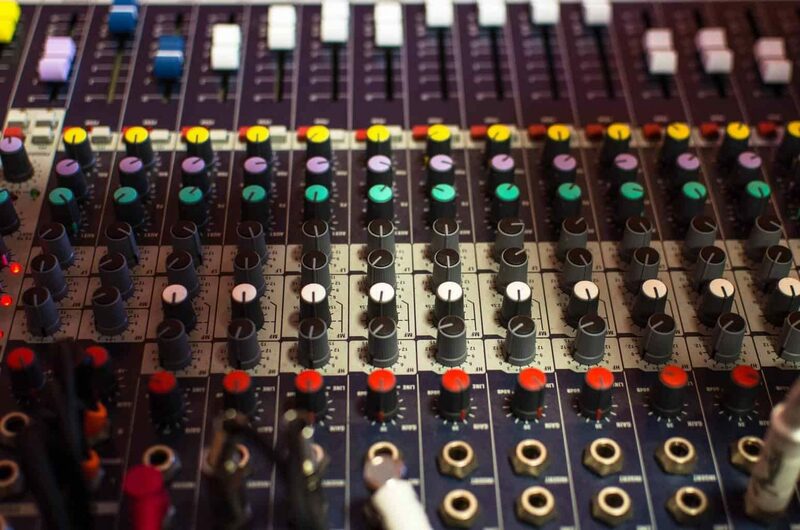 Broadcast and home video mixes will require your mixing stage be calibrated to prioritize the typical response of smaller speakers and the acoustics of smaller rooms. Theatrical spaces are calibrated to prioritize larges spaces and large speakers. Most stages are calibrated for broadcast so if you intend to prioritize theatrical exhibition as a part of your film’s distribution plan, be sure you talk with your mixer about the calibration of your mixing stage. Dolby and THX both have studio certification programs, but are by no means necessary. They do, however, serve as excellent rubrics for how to build out and calibrate proper mixing stages. Below is a cheat sheet which speaks to various room calibration levels and how they read. 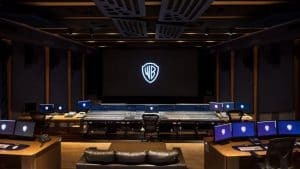 What comes as a shock to most people who are more familiar with broadcast audio delivery norms is that theatrical mixes do not have any official limitations or guidelines regarding loudness. Of course, this isn’t license to mix the film as loud as you can make it but rather to afford you the widest dynamic range as an artist to explore your auditory world of your film. Gunshots and explosions may be loud, but momentary. Audio with a sustained presence like dialogue or music requires restraint, but needs to be generally audible for comprehension. All things being relative, the louder you can punctuate a soundtrack, the starker the contrast it can create with softer and more nuanced elements of your soundtrack. As you can see from the chart above, mixes are not interchangeable insofar as an amplitude or volume adjustment can make a broadcast mix suitable for theatrical or visa-versa. Programs intended for US broadcast are mixed to a calibration setting approximately 7dB quieter than a theatrical mix, but the dialnorm levels are 7dB louder! The dynamic range of the mix, in this case, is severely impacted and can result in unintended consequences should that mix be used for theatrical exhibition. Print masters – This is the final mix of your film in all its glory. A standard 5.1 mix will usually be delivered as a set of six 24-bit 48kHz WAV files. Different deliverables use different channel assignments, so these WAVs are usually delivered separately to dispel confusion. Most print master packages include a mix for both theatrical and broadcast. You can also get an M&E print master that includes just music and effects for foreign language dubbing. LtRt – meaning “left total, right total” is a stereo version of your surround mix. To get an LtRt, your surround mix is encoded using Dolby’s ProLogic technology to fold your surround mix into a linear-PCM (uncompressed) WAV file. You can listen to the track in stereo on any sound equipment, but sound processors equipped with Dolby decoding tools can reinterpret these files in their correct surround configurations. So when preparing your mix, be sure to consult an experienced mixer with a calibrated setup and discuss up front what your deliverables needs are. If you can, make sure you archive your mixing session for later use. Special thanks to Transported Audio and Sound Logic Post for their contributions!